Waterfall Info: This is a low-flow waterfall on the west branch of Big Leatherwood Creek (in the Big Leatherwood Creek headwaters). 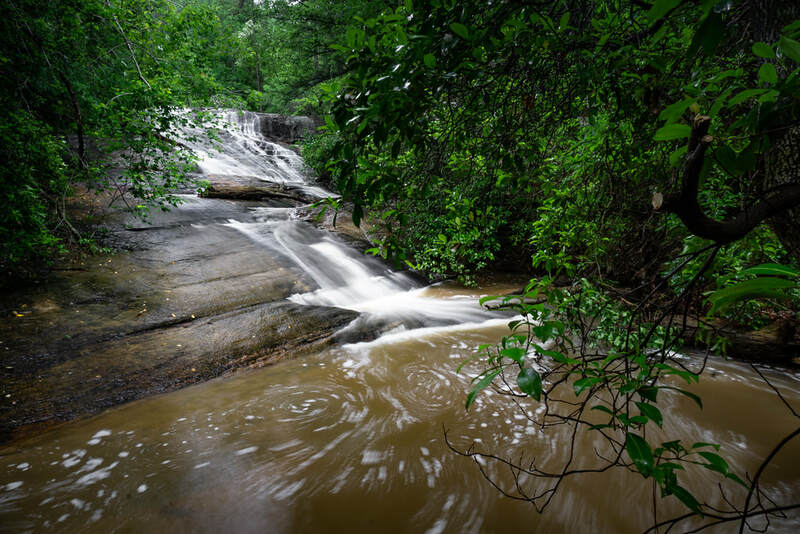 Access Info: This waterfall is directly along the Pear Orchard Trail, one of several marked trails that constitute the Frady Branch Trail System. However, getting to the base requires a bit of scrambling off the trail.